Originally posted as a part of my column, The Blooming Staff, on the Agora, the group blog of the Patheos Pagan Channel. In 1947, Protestant theologian Karl Barth introduced the phrase Ecclesia semper reformanda est — “the church is always to be reformed.” Barth used the phrase to express the Reformed conviction that the Christian Church must constantly examine itself and continue to evolve and reform; a teaching that thinks of the Reformation as a permanent state rather than an historic event. Since the Second Vatican Council, certain radical Catholic theologians like Hans Küng have also used the saying to express their desire for a Church that remains open to the world and to the spirit of the times. Pope Francis has in many ways resumed this spirit of dialogue and openness within the Church, especially when it comes to issues like poverty and climate change. Yet before the Second Vatican Council, before Karl Barth, and even before the Protestant Reformation and the Catholic Counter-Reformation, there was a major philosophical, theological, and spiritual drive to reform the Church. This has been called, by some, the Hermetic Reformation. Its proponents saw it as a Universal Reformation — one that would transform all aspects of the Church and European society. Rather than a return to the Bible or to traditional Christian dogmas, this Reformation would be rooted in Hermetic philosophy, Renaissance Neoplatonism, and Christian Cabala — the primary sources of the Western Esoteric Tradition. 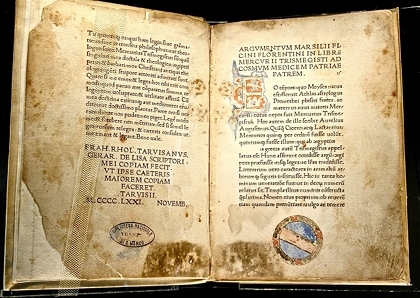 Corpus Hermeticum: first edition, by Marsilio Ficino, 1471 CE, at the Bibliotheca Philosophica Hermetica, Amsterdam. Ficino and Pico drew on Platonism, Neoplatonism, Hermetism, and Cabala to make their arguments for the prisca theologia and the Universal Reformation of the Church and society. They also practiced a form of Christian natural magic, or astral magic — the drawing down of the powers of the stars and the astrological planets into talismans and other images. 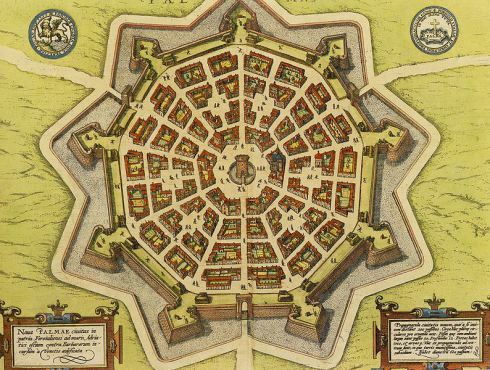 Ficino even suggested that it might be possible to create “a universal image, an image of the very universe itself,” in order to draw down the power of the whole macrocosm (Three Books on Life, 3.XIX). Inspired by the teachings of the Hermetic text the Asclepius, Ficino argued that such magic was acceptable for Christians because it worked with natural, created forces rather than through the use of demonic pacts or other supernatural feats. The more conservative elements of the Roman Catholic Church were not so sure — both Ficino and Pico suffered from periods of ecclesiastical censure, as well as patronage and support. It would be the more radical doctrines of Giordano Bruno, the later Hermetist and Neoplatonist who argued for a full return to the ancient Egyptian magical religion, which would be roundly condemned by the militant Counter-Reformation Church, leading to Bruno’s execution by burning at the stake in February 1600. As readers of Dame Frances Yates and other scholars of Hermetic philosophy know, however, the story didn’t end there. The Rosicrucian Manifestos, in their own unique post-Reformation context, provided a new esoteric key for the aspiration to Universal Reformation, and the traditions of utopian texts like Bacon’s The New Atlantis and Tommaso Campanella’s The City of the Sun kept alive the dream of a new universal civilization ruled by an enlightened class of philosopher-priests. Since the Renaissance era of Ficino, Pico, and Bruno, and the Rosicrucian era of Comenius, Andreae, Campanella, and the Manifestos, the prisca theologia has survived through the work of the esoteric orders, fraternal societies, and occult teachers of the Western Esoteric Tradition. Yet while mentions of Universal Reformation are still made in various currents of Western esotericism, these are usually vague overtures toward a coming New Age — the Era of the Holy Spirit during the French occult revival, the Age of Aquarius in the American 1960s, or the (unfulfilled) cosmic transformation of 2012. Some orders do suggest a program of reform or revolution — the Illuminati supported the Enlightenment ideals of the eighteenth century, while the moral philosophy and symbolism of Freemasonry may have indirectly influenced the French and American Revolutions. In the nineteenth century, groups like the Knights of Labor combined fraternal organization and ritual — influenced by Freemasonry — with the burgeoning national labor movement. And Ordo Templi Orientis, reorganized around the Book of the Law by Aleister Crowley, does hold some utopian notions of a future Thelemic society blossoming in the later years of the Aeon of Horus. But few esoteric orders do much concrete work toward organizing such a massive reformation of human religious and civic institutions as that envisioned by Pico, Bruno, or the early Rosicrucians. The accumulation of the political and social power necessary for movement building is not a strong suit of occultists in general. Instead, a post-Jungian psychologizing and internalizing of esoteric doctrines has made Hermetic magic more of a Gnostic pursuit of inner knowledge, rather than a cosmogonic enterprise that would radically transform the entire macrocosm through the mediation of the microcosmic human being. 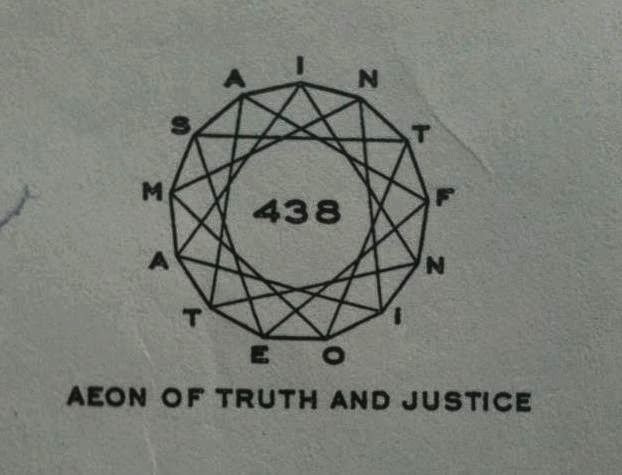 Frater Achad’s Diamond of Manifestation, a symbol related both to his proclamation of the Aeon of Maat and to the doctrines of the Universal Brotherhood. Yet one esoteric organization, founded in the early twentieth century and led for a time by Crowley’s “magical son,” Frater Achad, does propose to radically overhaul human society and aspires to transform the macrocosm into a perfect image of the One Ideal held in the mind of God for God’s creation: the Universal Brotherhood, also known as the Integral Fellowship or the Mahacakra (M.). As Achad explained in a 1925 letter to his student W.T. Smith, “The declared object of the M. is not alone to bring about a knowledge of God. The ‘objects’ of the Integral Fellowship are all the objects of all human beings in all their relationships … the most perfect possible collaboration with the Celestial Powers and with the Creative Intent … the Universal Terrestrial Realization of the Ideal, the deliberate carrying into effect and bringing to full fruition of the Divine and Macrocosmic Purposes” (Achad to W.T. Smith, March 12, 1925, WTS Papers). To that end, the Universal Brotherhood carries out a program of “the study and diffusion of the Integral Truth and the methods of attaining and verifying it,” a process which includes “the building up of the Integral Fellowship which is Humanity itself so far as it has become normally & organically united” (ibid.). 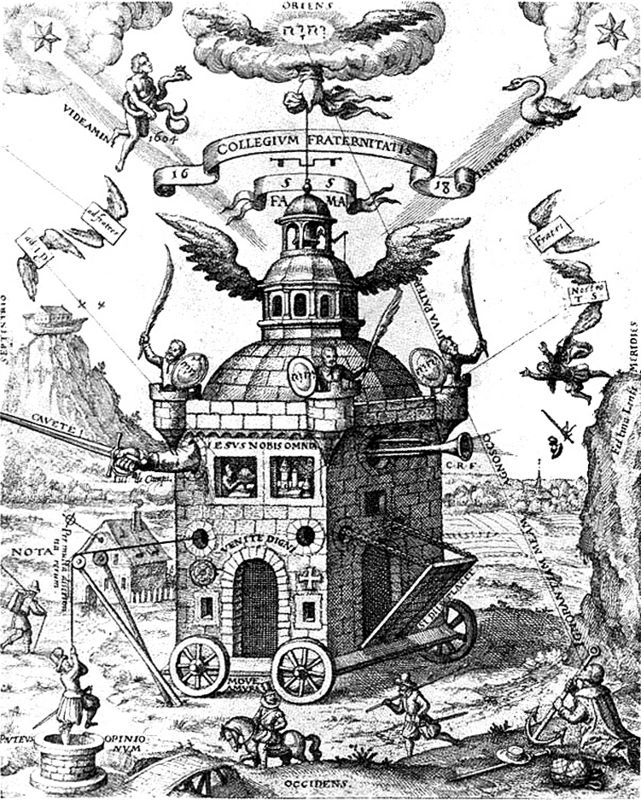 This aggregation and propagation of the Integral Truth and method of organizing humanity in a universal organization is highly reminiscent of past Hermetic schemes to create a Pansophic College, a universal city of philosophy, or a Church and society that has been totally reformed on lines laid out by the Renaissance philosophers. The concept of Integral Truth is also reminiscent of the prisca theologia — but it goes beyond that idea, as rather than advocating a return to a past golden age through embracing one form of perennial philosophy, to be truly “Integral” the Integral Truth must include all the truths contained within all systems of human knowledge and religion, organized and unorganized, as well as within every human being as such — a notion resembling Pico della Mirandola’s insistence that all human beings possess inherent dignity and the potential vocation of being philosopher-magi. This is truly a system of macrocosmic transformation, a Universal Reformation working through the Providential embrace of all human knowledge, experiences, and expressions. As Frater Achad claimed, the U.B. is “macrocosmic in nature” — while other esoteric orders such as Crowley’s A∴A∴ are “microcosmic,” emphasizing as they do inner knowledge and the spiritual transformation of individual persons (Martin P. Starr, The Unknown God: W.T. Smith and the Thelemites, 142). For those who are interested in this current of pansophic thought, in working to construct “a great building without doors or windows” which contains the spiritual knowledge of all of humanity, and who see the need for a Universal Reformation in human society — a need that is as great or greater today than it was in the era of Ficino and Pico, Andreae and Comenius — the work of the Universal Brotherhood continues in the twenty-first century.